Lately the news likes to make it look like everyone is abandoning their BlackBerry and going to another platform, and recently I did just the opposite. I'll admit, for the past couple of months I have been on and off with my BlackBerry, sometimes heading to an Android device or an iPhone, but recently it has been all about me and my BlackBerry Bold 9930. So, what sparked the recent changes and rekindled my love of this device? Keep reading and I'll explain why BlackBerry works for me, and why I will use it as my main device until BlackBerry 10 hits. From the moment I received my BlackBerry Bold 9930 in the mail from Verizon Wireless I loved the device, the hardware felt great, the keyboard was outstanding, and the touch screen worked like a charm. I spent a few months with it and then my curious mind started wandering, and those other devices I had laying around on the table began to look intriguing. As any tech lover with an itch would, I scratched and activated the other devices and thought that they were better than my BlackBerry. The novelty of a "new" device and a different platform were enough to keep me content for a week or two, and then it the cycle would begin. I spent a lot of time analyzing my work flow, looking at how the devices impacted my productivity, responsiveness and how well they integrated into my day as a whole. This is what brought my Bold 9930 back to the front of the line each and every time. Does the number of applications in a marketplace make a device better? Does a larger screen, 4G and the ability to load some custom ROM's on the fly make something more appealing? To some yes, but to me no. 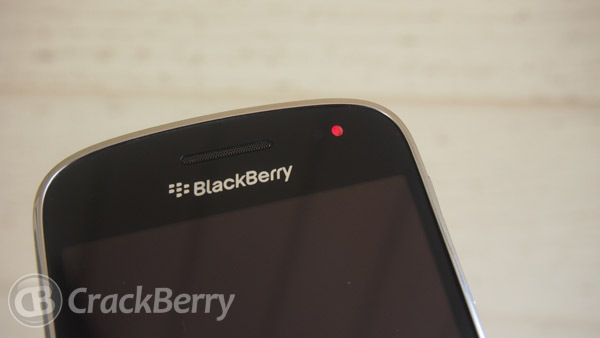 So, what is it about the Bold 9930 that has won over my love for BlackBerry yet again? Let's start with the physical keys. Until you leave the physical keyboard, and device keys behind you will likely forever take them for granted. The ability to launch the camera with a quick press of a button from any screen is priceless, you don't have to go to the home screen, then find that pesky camera icon, and potentially miss the memory you are trying to capture. While out of the box the Bold 9930 only has one convenience key instead of the normal two, all I had to do was load up SixTools and now I have 4 convenience keys instead of one. This means that with just one press of any of these buttons I can launch into one of my four most used applications with no struggle. The keyboard. We all know how amazing BlackBerry keyboards are, and how well they assist us in keeping in touch with others, but personally I never valued it fully until I went to an all touch device and my replies began lacking. Where I would have previously replied with a lengthy description I found myself wanting to keep it short. When in the middle of something else I found myself ignoring messages instead of firing off a quick reply, just because I knew the typing experience wasn't as easy. Ok, so buttons win over everything else? No, the buttons aren't the only thing that won me back. Application integration on BlackBerry devices is far deeper than it is on other platforms. The ability to add a picture to an existing email or to take a picture and post it or send it to the place of your preference makes life so much easier. The argument about the number of applications available in App World is one that has never made sense to me. So just because Apple has more applications in the App Store that means that they are better? My use case on my Bold 9930 may just be extremely light, or some people may just be over thinking the need for applications, but I prefer to go with the latter. Personally I don't see the need to fill my devices with tons of applications that I will never use beyond a first launch. There are a core group of applications that I need in order to function properly, and I have yet to have trouble finding a great application for my needs in BlackBerry App World. 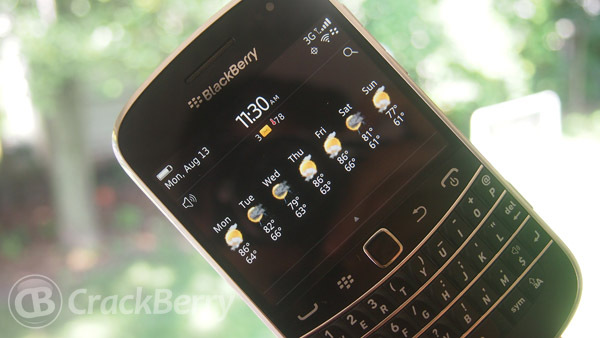 From apps that set the weather forecast as my wallpaper, to applications that change the color of the LED so I know what type of notifications are awaiting me, my Bold 9930 is set up just the way *I* need it to be. Are there things that I would change about the device? Things I would prefer that I can find in another platform. There sure are. I would like a bigger screen, I would prefer real time two way sync on email, and a slightly faster browser. For me these wants don't out-weigh the pro's that the device brings for me and my productivity, which is what makes the decision easy. While I anxiously await the arrival of BlackBerry 10 and some new hardware along with it, my Bold 9930 will be keeping me company.